Kate and Chelsie: Lolas spooky halloween cupcakes! 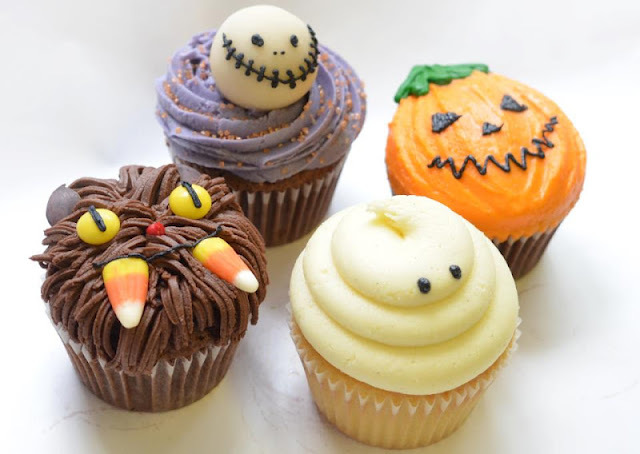 Spooky Halloween specials are devilishly delicious and whether you choose our light and fluffy friendly ghost, the scary chocolate monster, pumpkin or spooky skeleton skull these cupcakes will not disappoint! Topped with our heavenly buttercream icing, hand crafted and decorated with sweets these cupcakes are the perfect treat to sink your fangs into!